There’s no geek like an audio geek – sorry, “audiophile”. So-called sound aficionados were pushing the envelope of obsessiveness long before the rise of computers, gaming and all things Trek. Let’s look at 10 ways geeks got their grooves back – and where we go from ear. 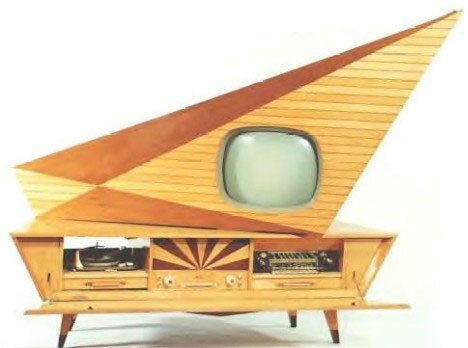 Grandpa & Grandma were geeks… and pushing the envelope of modern home audio technology with their all-inclusive, charmingly wood-grained stereophonic hi-fi! These bulky cabinets were the futuristic furniture of the fifties, packed with eerily glowing vacuum tubes and even providing space to store fragile 78rpm vinyl records. Looking good, gramps & gran… sounding good, not so much. Today’s music lovers have embraced miniaturization while leaving the wood where it belongs: inside trees. 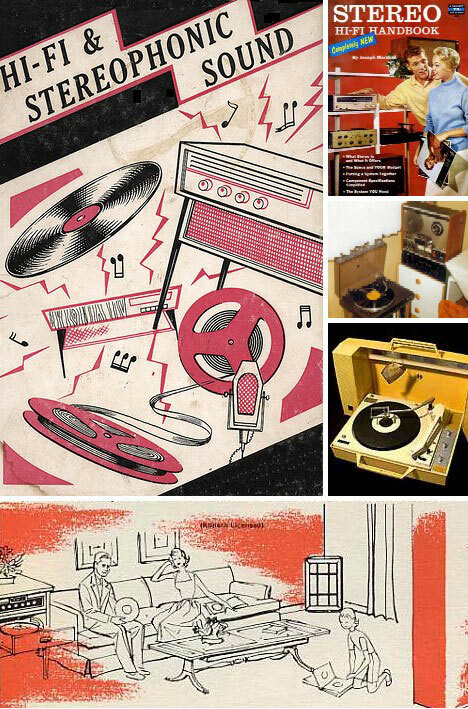 Even the earliest iPod blew those ancient vintage hi-fi’s out of the water sound-wise. Their portability makes a “home stereo” a mere parking place – or dock – that lets the iPod play through speakers instead of earbuds. 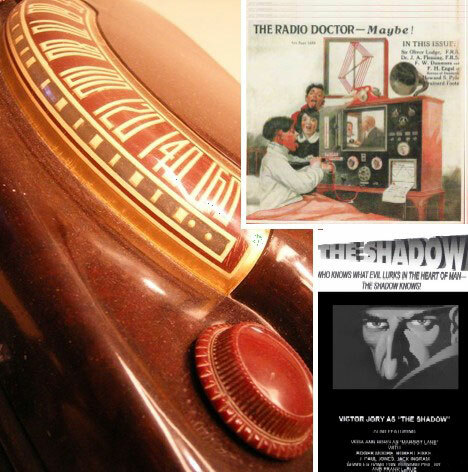 Radio was a revelation when it first started cranking out music, news and popular serials like The Shadow. An entire generation grew up to these sounds, emanating from tinny speakers and illuminated by tiny incandescent bulbs. Old radios have a certain charm that goes beyond their art deco styling and myriad dials. Home radio’s heyday lasted decades but slowly and surely gave way to television, transistors and the monotony of programmed content. 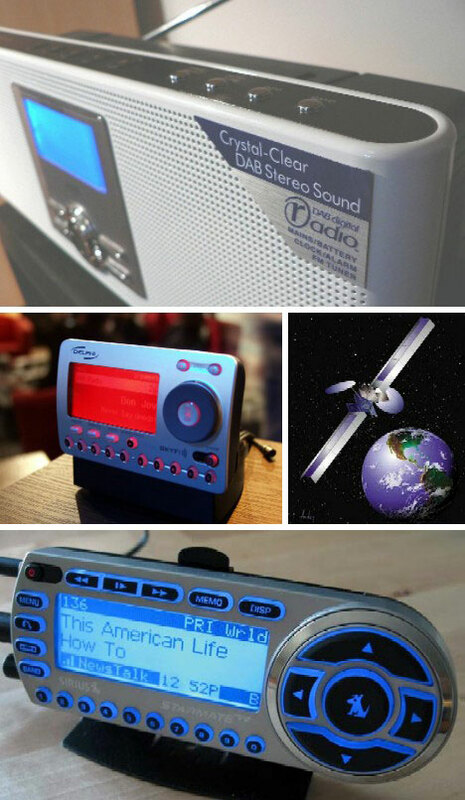 Radio hasn’t faded away entirely, in fact it’s better than it ever was! Freed from the bonds of Earth through the futuristic tech of digital radio and satellite transmission, radio enjoys new appeal in its ultimate expression: digital commercial-free programming on demand. Over 30 types fondly remember vinyl records… well, perhaps not so fondly but they do recall these flat, grooved discs of glossy black vinyl. Beset by clicks, pops and warping in warm weather, records were far from perfect yet that’s part of their enduring appeal. 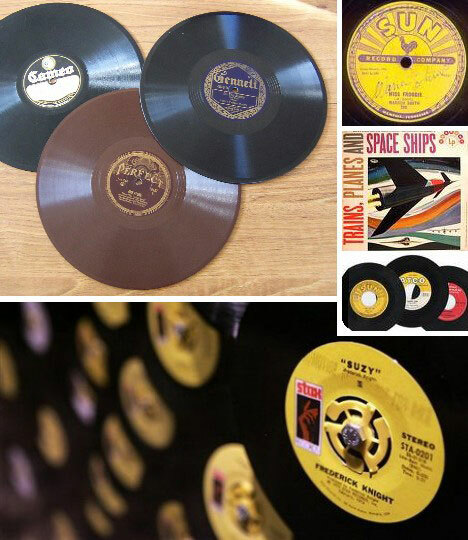 From brittle 78s, to 33rpm albums and 45rpm singles (with that weird adapter disc), vinyl records left an imprint on pop culture that’s much more than a (gasp!) scratch. Vinyl records were eclipsed by CDs in the early 80s but have, to the surprise of many, been making a comeback of late. Vinyl provides a warmer, more realistic sound according to audiophiles; others say records are just cool. They also can add a retro look to a modern iPod case, just don’t trash any collector’s items in the process. However, vinyl now made a come back with many artists wanting to have their music immortalized on vinyl. Some using vinyl pressing from VDC Group to capture the sound of their music for their audience. 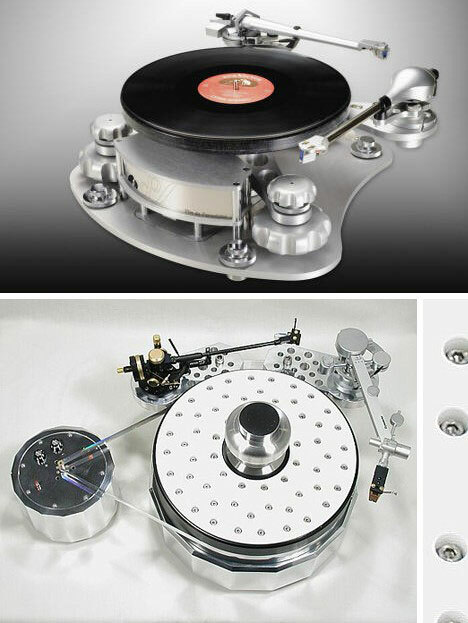 With records come record players. 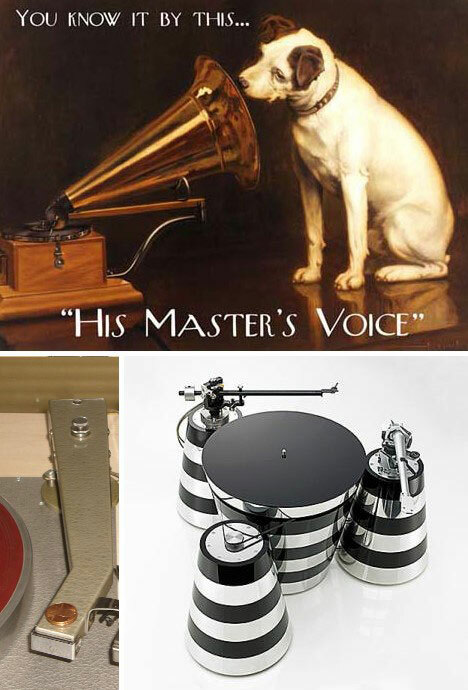 Early gramophones featured giant horns to amplify the sound and black & white dogs to ensure His Master’s Voice was coming through loud and clear. By mid-century, the dogs had been replaced by stacks of pennies taped to the tonearm. By the time the turntable finally got its act together as a polished piece of audio technology, the CD player came along and that was that. With vinyl records coming back into vogue, a few turntable manufacturers are rolling out some exciting new players. Trouble is, how does one re-invent the wheel? By keeping the perfected mechanics and updating the design, it seems. The looks aren’t all that’s been updated, however, as the $17,000 EAR Disc Master (above, top) proves all too well. 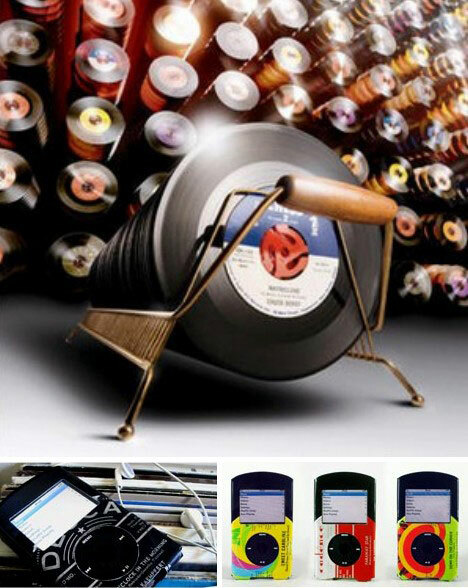 The first serious challenge to records came in the mid-1960s when magnetic tape made the leap from awkward reel-to-reel recorders to famous Phillips standard cassettes and infamous 8-track cassettes. Home sound systems quickly incorporated tape decks to record and play standard cassettes and just play 8-tracks, which couldn’t be recorded by the home user and generally sucked otherwise. 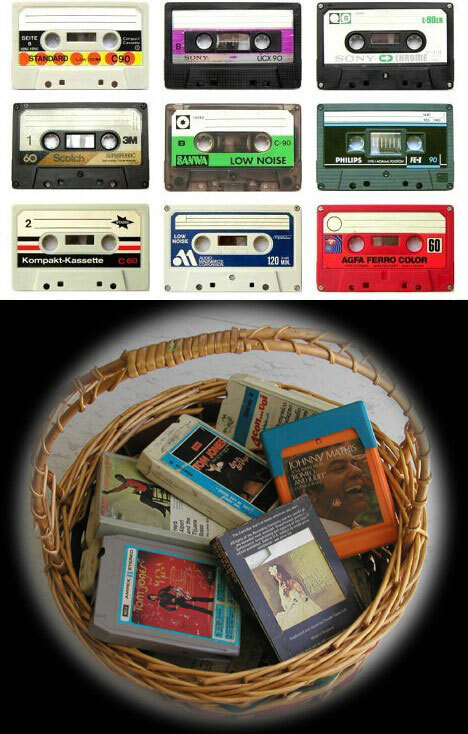 Tape cassettes were ideal for cars and portable players but they quickly became fixtures in home audio systems as well. 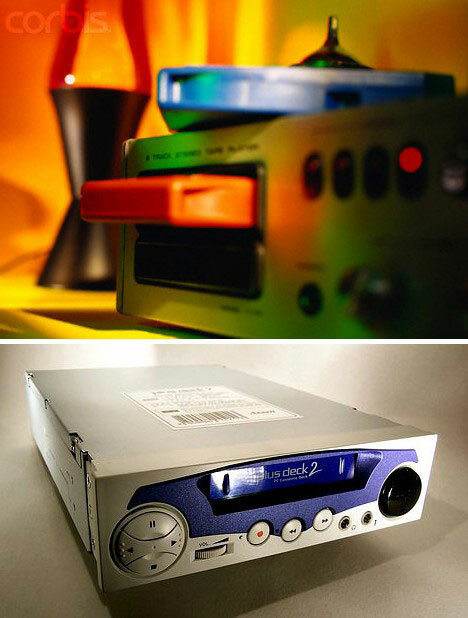 These days, holdovers from the good old days of tape can transfer their well-worn mix tapes onto MP3 or .wav files with neato machines like the PlusDeck 2. Standard cassettes only… consign those moldering 8-tracks to the trash or eBay while you still can. 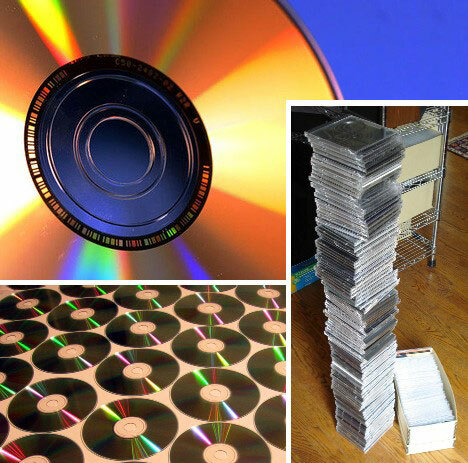 When the CD came along, headlines screamed about “the end of vinyl”. True, the compact disc outclassed vinyl records in just about every way. 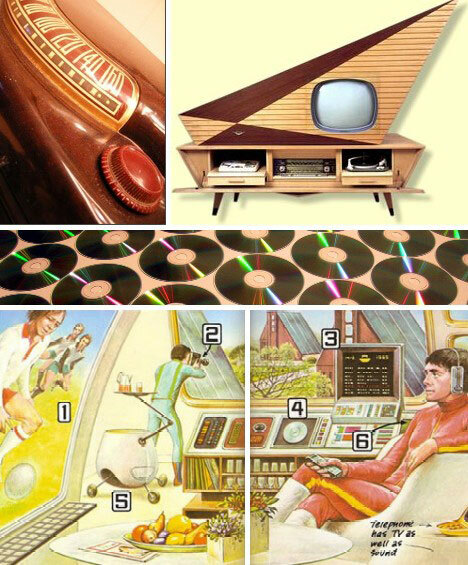 They were smaller, held more music and were read by frickin’ laser beams! Time would tell a different tale, however – CDs were not as durable as they appeared, were susceptible to scratching and the sound dissatisfied many audiophiles. Even so… laser beams!! CD players haven’t changed much since the introduction of the disc format in the early 1980s and now face a challenge from downloadable music that makes ANY type of hard-copy player less essential. Once again, manufacturers are focusing on flashy looks often arrived at by the skillful use of blue LEDs to attract attention and bolster their geek appeal. 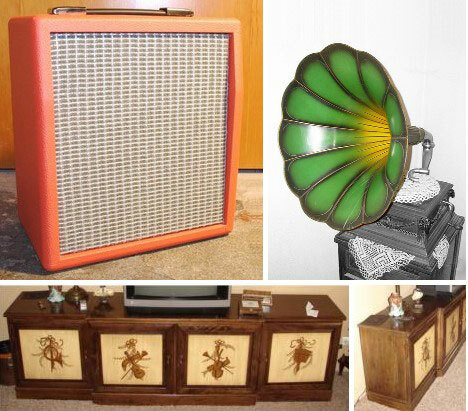 Speakers evolved from wacky gramophone horns to massive wood boxes fronted with fabric, all the better to match Mom & Dad’s living room furniture. Sound quality improved as well. Today speakers remain an essential component of home audio systems, often doing double duty in home theaters and providing a more complete TV-watching experience. Gaming also spurred the development of speakers complemented by massive subwoofers – an exploding planetoid makes a lot of noise, even in the airless depths of space. Most home sound system owners have to share their living space with others who may not share their particular taste in music. 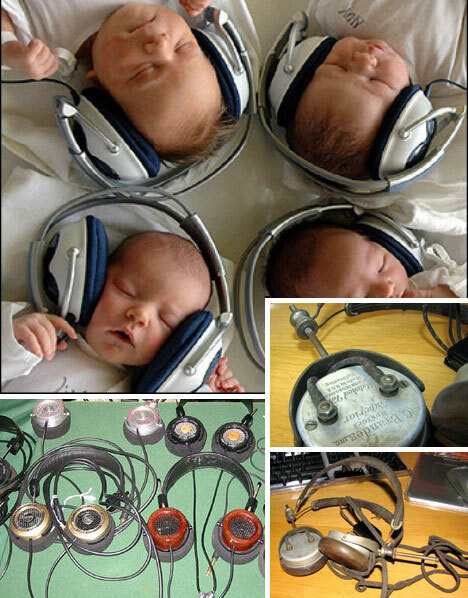 For these tolerant music-lovers, stereo headphones are the answer. Basic headphones haven’t changed much since they were first invented, though as with all audio tech their sound has gradually improved as their size & weight have shrunk. 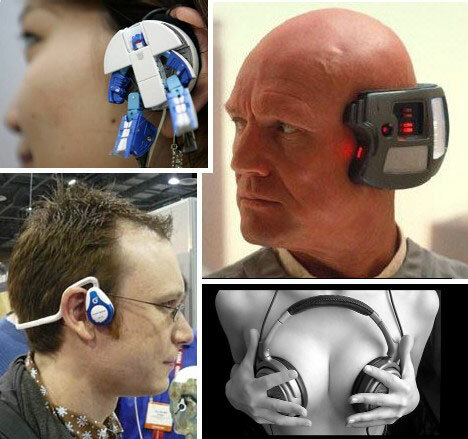 Headphone innards have gotten so good these days, designers have felt free to work on the outside. How abut a pair of Transformers headphones for an optimus, er, optimal listening experience? Some new headphones bypass the ear entirely, going the bone conduction route. 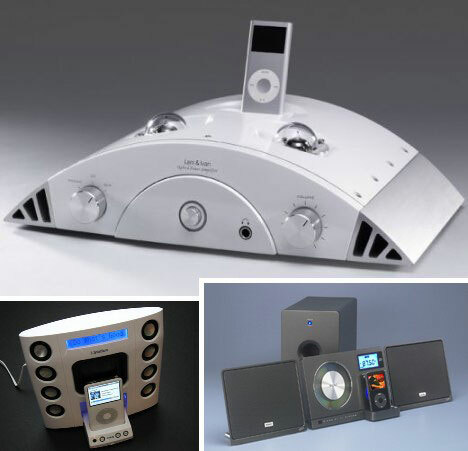 The evolution of home sound systems can be compared to the century of flight, as both have taken about 100 years and have witnessed amazing leaps in power and technology. Without this fortunate marriage of music and technology, society itself would be much different today. 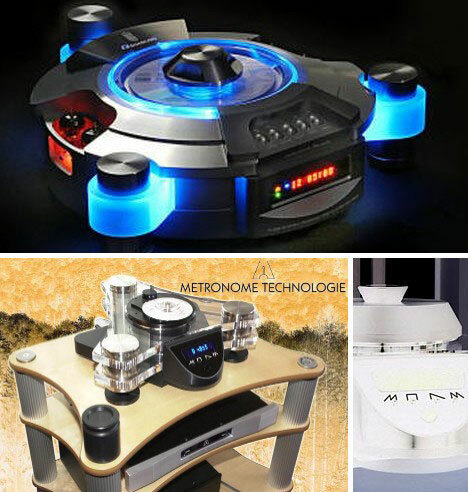 What will the future bring to home audio enthusiasts? 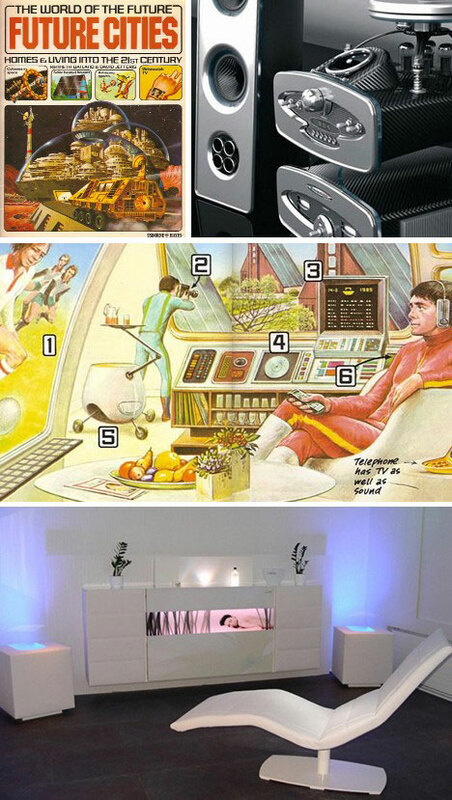 If current trends progress, we may see fuller integration between computers and audio systems. Already wireless remotes allow the listener control previous generations couldn’t even imagine. Get computers involved and the world’s entire uploaded music catalog can be accessed. 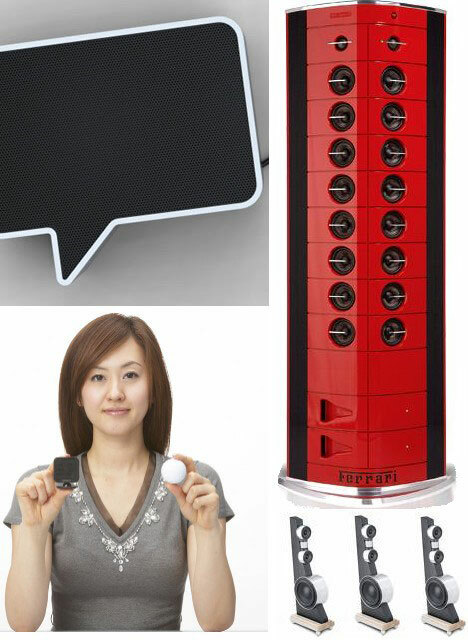 We have seen the future of home audio, and it sounds great!